We grow lots of rosemary in our garden. Lets try it in our water glass the next time you come! It’s a deal!! I like rosemary better than I used to. 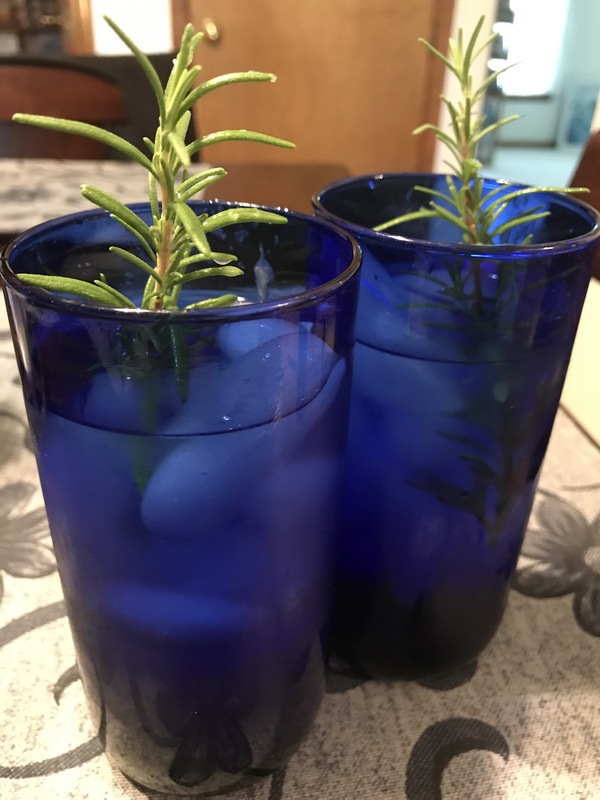 do you just add a fresh sprig of rosemary to the water, or crush/squeeze it to get it mixed in? I’ve never heard of this and will try it because I like the smell of rosemary. You just add a fresh sprig to the pitcher or the glass. It tastes great and smells good. Do you ever use diffusers? They have rosemary also and I use that too. That sounds like a new great I’d idea. I will try it! Refreshing!